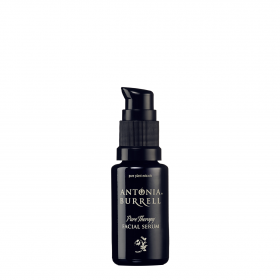 Pure plant power and skin food in this multi-action hardworking, skin fixing, anti ageing moisturiser. A true all rounder for all skin types that will not disappoint. Leaves your skin clear and silky soft. This 100% natural, radiance giving, anti ageing moisturizer will help to reduce redness, tackle blemishes, break-outs and pigmentation too. It’s an all rounder and will brighten, smooth and improve your skin. Infused with an organic certified Anti-Acne Complex, which has been clinically proven to reduce acne bacteria activity and redness, improve the health of oily skin, provide balance between hydration and oil production. Larch Extract a natural SPF Booster with UV-absorbing properties and a plant alternative to collagen. Studies have demonstrated its ability to minimize the appearance of fine lines and wrinkles, reduce transepidermal water loss (TEWL) and skin exfoliation without irritation. Firms, tones and increases radiance. Patented Olive Leaf Extract discovered by the Egyptians over 2000 years ago and was regarded as a symbol of ‘heavenly power’. Clinically proven to reduce the appearance of irritated and stressed skin. Reduce inflammed, acenic and pimpled lesions. Protect, detoxify and clarifiy the skin. Mango Seed known as the ‘super-fruit’ with excellent levels of antioxidant vitamins A, C and E to protect skin from further free radical damage and maintain healthy levels of hydration. Help stimulate collagen and elastin production. Enriched with our Amazonian patented bio actives, which have been clinically proven to effectively and balance oily skin, reduce acne on acneic skinand manage hyperpigmented disorders. Protect the skin barrier function. Use with Antonia Burrell Facial Serums for faster results and notice a discernable improvement in skin texture and appearance after just one week.